Are you having difficulty falling asleep at night? Are problems, thoughts, and emotions from a busy day keeping you awake? If so, why not experience the safe, healthy, and effective benefits offered by a natural sleeping pill? In this post, you'll discover how these all-natural sleep aids can help you sleep better, then conclude with a roundup of the best natural sleeping pills currently available. 1 What Are Natural Sleeping Pills? 5 ​​Which Natural Sleeping Pill Supplement Is Best for You? What Are Natural Sleeping Pills? Natural sleeping pills consist of natural and organic ingredients that aid the synthesis of serotonin in your brain to help you sleep longer and more soundly. As a neurotransmitter, serotonin transmits messages from your brain to all nerve cells in your body, helping you experience a state of relaxation, leading to deep sleep. Your body can then start the process of repair and rejuvenation. Melatonin – Arguably the best known natural sleep agent, melatonin is a naturally produced hormone that helps induce sleepiness and prevent interrupted sleep. When taken regularly, however, melatonin may inhibit the effectiveness of medications for conditions like diabetes or high blood pressure. Also, any more than 3 milligrams of melatonin per day may cause drowsiness and lack of focus the following day. (Read our detailed article about melatonin here). Valerian – This herbal ingredient has been used since ancient times to treat both anxiety and insomnia — two conditions often interlinked. This safe and effective natural sleeping agent raises GABA levels in the brain — a neurotransmitter responsible for calming the body and promoting deep, restful sleep (Read our detailed article about valerian root here). Chamomile – You're probably aware of chamomile tea for its calming and sedative effects. It's no surprise then that many natural sleeping pills also include it. This relaxing herb has been used for centuries to settle stomach aches, relieve anxiety, and induce sleepiness to great effect. But those allergic to pollen or plants may need to steer clear of this herb. Magnesium – While magnesium may best be known as a muscle relaxant, this natural mineral also promotes good sleep by decreasing the amount of cortisol produced in the body (the stress-inducing hormone). (Read our detailed article about ﻿﻿﻿magnesium﻿﻿﻿ here). Tryptophan – This vital amino acid helps manufacture and balance the body's serotonin count, the neurotransmitter responsible for mood, sleep, and other physical and mental activities. Tryptophan isn't naturally produced by the body and can only be obtained through diet and supplements alone. Thus, a natural sleeping pill containing tryptophan is a good way to ingest it. Kava – People with ongoing symptoms of insomnia may find relief with this plant. But anecdotal evidence suggests prolonged use may impair liver functionality so make sure to consult a naturopath, holistic practitioner or physician knowledgeable of natural sleep aids first. Passion Flower – Also known as "maypop," this powerful plant alleviates gastrointestinal conditions caused by stress and nervousness and acts as a sedative by calming and soothing the body. The greater your understanding about the types of herbs, vitamins, minerals, and hormones used to induce sleep and how they affect you, the greater the likelihood you'll find a natural sleeping pill that works for you. 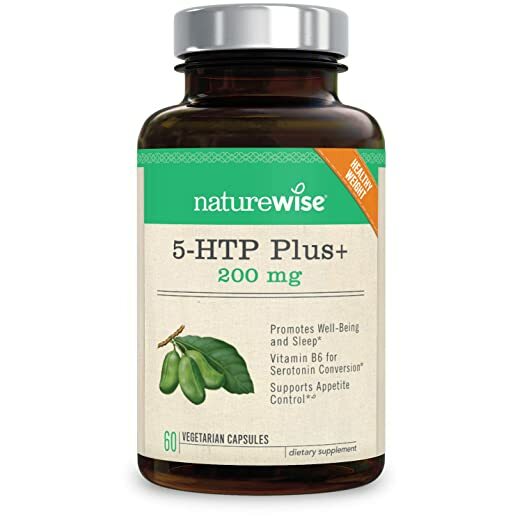 The primary ingredient of this supplement, 5-HTP, isn't a regular staple of most natural sleeping pills and thus isn't featured in our list of common ingredients included above. 5-HTP helps replenish serotonin levels in the body to promote a regular, healthy sleep cycle. This product also includes vitamin B6 which helps convert serotonin, thus increasing its effectiveness. The NatureWise brand has a stellar reputation — a view clearly shared by the number of glowing customer reviews. Scientifically examined by a third party with expertise on all-natural sleep enhancers, Luna's ingredients have been proven safe and effective for restful sleep without side effects. Consisting of Valerian, Melatonin, Chamomile, Passion Flower and Lemon Balm, Luna guarantees you a full 7 to 8 hours of continuous deep sleep without sapping your energy the following day. Driftoff from Zhou Nutrition contains Melatonin, Valerian, Tryptophan, Chamomile, Lemon Balm, and other ingredients — a unique formula intended to revitalize sleep. Combining ancient Eastern herbal traditions with the latest advanced research on natural ingredients, Driftoff is designed to work quickly without producing a groggy feeling afterward. This sleep supplement is manufactured in a government-inspected and approved facility using high-quality equipment and production standards (GMP). It contains standard natural sleep promoters like Melatonin, Magnesium, Valerian, Chamomile, Lemon Balm, and Passion Flower, along with Hops and L-Theanine — an essential amino acid which promotes mental and muscular relaxation. Most importantly, it's designed to help you transition into a deep, restful sleep. The benefits of Power to Sleep PM are threefold: produce relaxation, replace nutrients, and most importantly, encourage sleep. It contains several well-known sleep-inducing ingredients like Melatonin, GABA, L-Theanine, Magnesium, Lemon Balm and others — all natural, with no added preservatives. This sleep supplement is in liquid softgel form, making each dose easy to swallow and absorb. ​​Which Natural Sleeping Pill Supplement Is Best for You? For these reasons and more, NatureWise 5-HTP Sleep Capsules​ comes out on top of our list. What are your thoughts about using natural sleep aids? Leave your comments below!